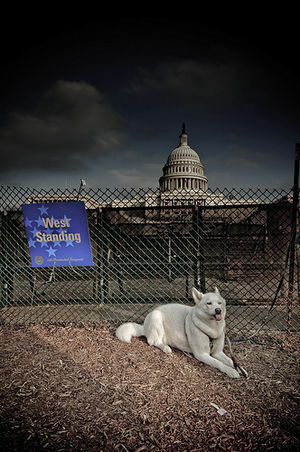 The ASPCA and the HSUS reported on victories for animals in 2010. Here are some of the bills that became law this past year. The Crush Video Act was signed by the President and became law on December 9th. The Puppy Mill Cruelty Prevention Act was passed in Missouri in November. However the fight is not over as there are people trying to overturn the law, so the struggle goes on. Greyhound racing ended in New Hampshire with the Greyhound Protection Act, July 8th. The Prevention of Farm Animal Cruelty Act mandates California egg-laying hens be housed with enough room to stand up and spread their wings. Another bill going into effect in 2015 requires all whole eggs sold in California meet the Act’s standards. Tennessee passed a bill prohibiting persons convicted of certain violent and drug-related felonies from owning vicious dogs. It also requires any dog owned by a violent felon be spayed or neutered and microchipped. Connecticut passed a law developed by the ASPCA and in effect since October 1st, prohibiting the dangerous and inhumane chaining/tethering of dogs. Alaska passed legislation upgrading the states anti-cruelty law from 2 prior convictions to making the most egregious acts of cruelty to animals a felony on the 1st offense and also prohibiting sexual abuse of animals. Louisiana which banned cockfighting in 2008, made it a crime to be a spectator at a cockfight. Responding to the infiltration in the Everglades by tens of thousands of exotic Burmese Pythons, Florida has banned the import into the state, breeding, sale and possession as pets of many large constricting snakes. Lawmakers in Hawaii banned the horribly cruel practice of shark finning, aiding the HSUS in its effort to ban this activity globally. The Florida Fish and Wildlife Conservation Commission has outlawed fox penning. This practice had coyotes and foxes run down and torn apart in a fenced enclosure. The HSUS is working to ban it everywhere. Rhode Isand has joined other states and has outlawed greyhound racing. Illinois lawmakers banned the keeping of primates as pets. While many dogs are in need of homes, 13 lucky dogs from Taiwan are on their way to the U.S. to loving homes. Two puppies stolen from an animal shelter have been returned. Destiny, a pup mistakenly scheduled to be euthanized is being flown by Pet Airways from Arizona to New York to be adopted by Guardians of Rescue. The Circus Animal Rights Coalition in Malta has again marched in support of animal rights. The newborn Giant Panda cub is thriving after being born in the Atlanta Zoo. Four-legged residents of Miami, Florida have a new place to enjoy – a new dog park has opened in the city. A rescue pup in England that has lived in 5 different homes in in desperate need of a loving home and life-saving surgery. 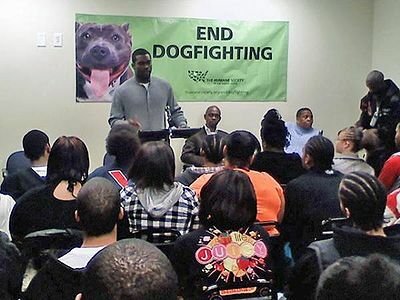 Every victory counts in the war against abuse and cruelty. I believe the ASPCA, the HSUS, the No-Kill Advocacy Center, the Animal Rescue Site and other like organizations will continue to fight this war until all animals are treated humanely. You can help by keeping abreast of what’s happening and writing to your congressmen to stop animal abuse and neglect. Hellmann’s Light – Hellmanns is converting all its products to cage-free. Amtrak, Virgin America and Ruby Tuesday switched to 100% cage-free eggs. Quiznos doubled its cage-free egg volume. Sonic, Golden Corral and Cracker Barrel each started using cage-free eggs. Safeway will double its percentage of cage-free eggs by 2012. Wal-Mart has a cage-free policy for all its private line eggs. Also in 2010 Chipotle became the first major American restaurant to introduce vegetarian chicken to its menu in many of its locations. Subway is committed to going cage-free. JC Penny will remain fur-free for 2011. Talbots has a fur-free policy. Lord and Taylor and Andrew Marc both agreed to phase out raccoon dog fur. Gilt Groupe agreed not to sell raccoon dog fur. (Raccoon dogs are native to Eastern Asia and resemble the raccoon although they are canids). October 1, 2010 – Felony Horse Slaughter – New minimum sentence for violators is $3500 and one year in jail. It is now a felong offense to kill, maim or mutitlate a horse and the transport, sale and distribution of horse meat not acquired from a licensed slaughterhouse is banned. Passage of these bills ended all slaughter in the State. New York – As of October 10, 2010 the ASPCA succeeded in preventing repeal of the Animal Population Control Program. 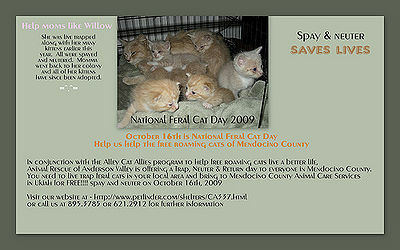 Since 1996, the program has helped fund spay/neuter surgery for adopted pets and pets of low income persons. July 10, 2010 – Virginia increased animal cruelty penalties – an owner’s failure to provide adequate food, water, shelter and veterinary care from Class 4 to Class 2 misdemeanor and an owner’s failure to provide adequate space, exercise, care, treatment and transportation from Class 4 to Class 3 misdemeanor. Penalty for failure to spay/neuter an adopted dog or cat from an agency requiring sterilization was raised from $50 to $250.